This picture embodies many things. Friendship. Hope. Love. Kindness. Wisdom. Intelligence. A better world. The events of this past year in my little world have been disheartening, to say the least. A devastating flood that affected many, many of our friends and family members in the Houston area. A horrific school shooting at a school only miles away from where my own children and four of the young people pictured above graduated from high school and where many friends and family members still live. The unexpected suicides of two prominent people in the design and entertainment worlds. An overall sense that the world needs help. People seem stressed out and unable to manage their own lives in a healthy way. Back to the picture. The handsome groom is my son, Brave Heart, with his new bride, Beautiful Soul, and three of his closest friends from high school. In this picture, there are five different ethnic groups represented and, I believe, there are four different religious groups represented as well. The parents and/or grandparents of these precious young people came from South Africa, Asia, the Middle East, and North America. For the past 8-10 years, these friends have brought joy and happiness to one another’s lives as only true friends can bring. Smiles. Laughter. Shared memories. 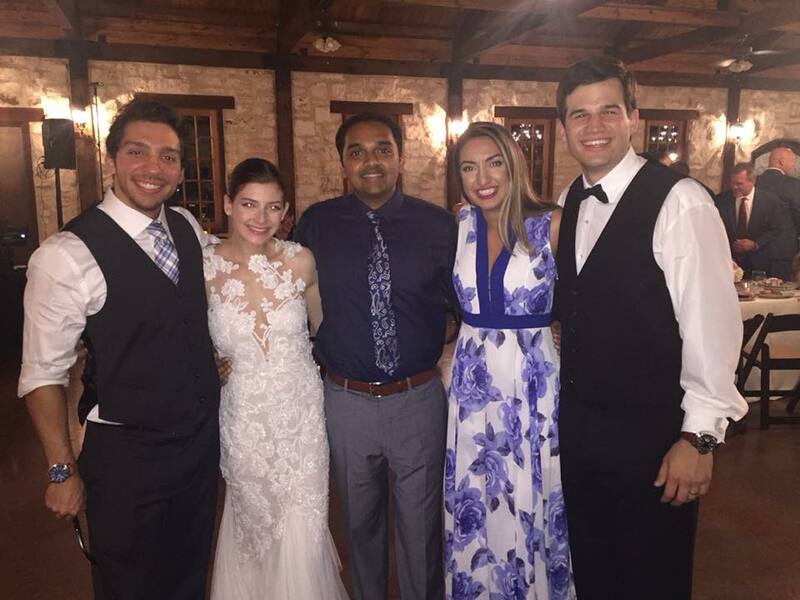 Their friendships blossomed effortlessly in a multicultural school district south of Houston, Texas and, although, they didn’t see one another much after high school, they have a comfortable, easy friendship based on mutual love, admiration, and respect for one another. When I look through the hundreds and hundreds of beautiful pictures I have from the wedding, this one stood out immediately. It shows me that there is real hope alive in the hearts of our American youth. There is an ability to see past boundaries, both physical and emotional, and see a person for the heart within. These young people are golden. I have watched them lead by example through junior high, high school, college, and now real life. There are two nurses, two engineers, and an actor amid the group and I am positive that they all five will help change the world for the better. I stood at Brave Heart and Beautiful Soul’s wedding and looked around me at the myriad of young people there who are attending or have graduated from demanding universities all across the country. One of the groomsmen, who is hilarious and lovable, is getting his doctorate at Penn State. Another favorite already graduated with his Master’s Degree in Business. Many, many more are pursuing masters and doctorate degrees in business and engineering or heading straight into the workforce. Each and every one of the groomsmen were unique, funny, intelligent, loyal, friendly, loving, and kind. I literally wanted to hang out with them constantly during the wedding festivities due to the amount of fun they were creating throughout the entire wedding weekend. I am extremely thankful for Brave Heart’s groomsmen and friends. They are amazing young men and women whom I love and appreciate for the way they have loved my son. In this world, there is corruption, hate, bigotry, confusion, and prejudice. In this world, there is education, hope, kindness, loyalty, love, and intelligence. Which world do you choose to focus your time and attention on each day? I implore you to turn your face towards the hope of young people in America today. They are working hard to make a difference. They are serving across the nation and world on mission trips to help underprivileged and hopeless people. They are pursuing degrees and educating themselves so that they can help solve problems. They are learning to look across borders and boundaries and see the like-mindedness of other people instead of the differences. They are living with purpose. They are trying to change things and live above the status quo. When I turn off the news in disbelief about the tumultuousness of our country, I will turn my eyes to the hope of young men and women like the ones pictured from Brave Heart’s wedding. In addition to my hope in God, my hope in these amazing young people is steadfast. I have no doubt that they, and millions of others like them who are pursuing change through education and hard work, will succeed in their endeavors. I am thankful for each and every one of them and the role they played in shaping the heart of my son.